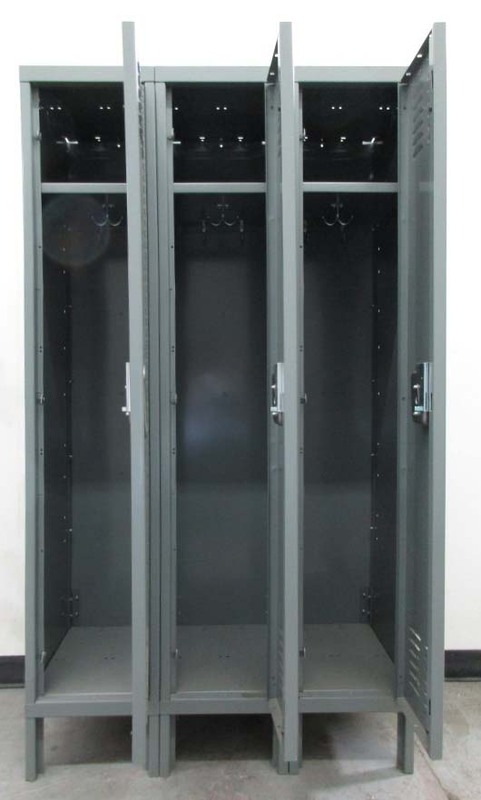 These Storage Lockers with Legs are available on www.buyusedlockers.com where they have a huge selection to choose from if we need additional supplies. 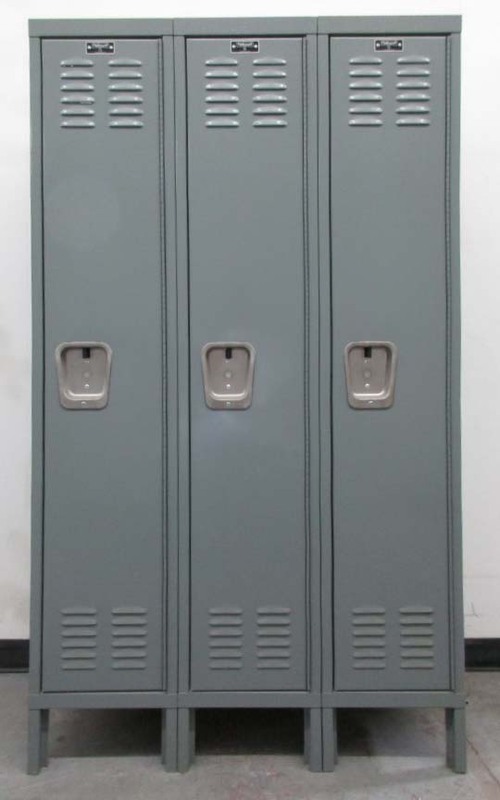 Brand new factory returned lockers. We have 6 that are 12" wide x 18" deep x 60" high with 6" legs making the overall height 66". 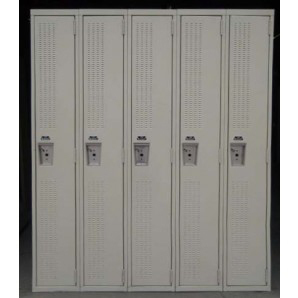 Even with minimal cosmetic damage to the body, the doors and door frames are fully functional; great for storage. 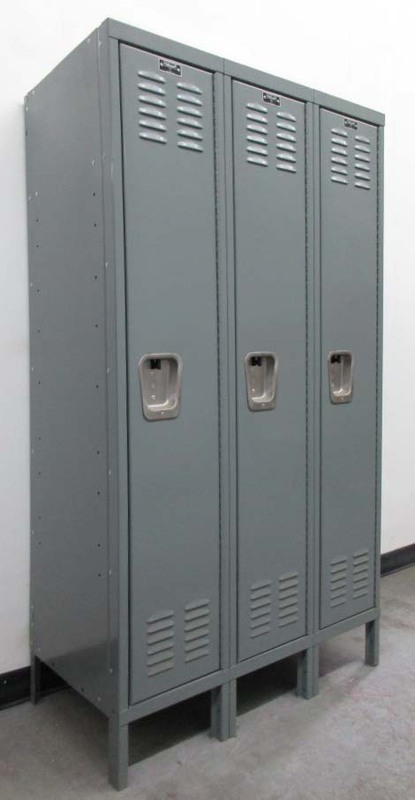 These factory returned lockers are a popular gray color and are ideally used for employees, gym members, school students, or for storage.